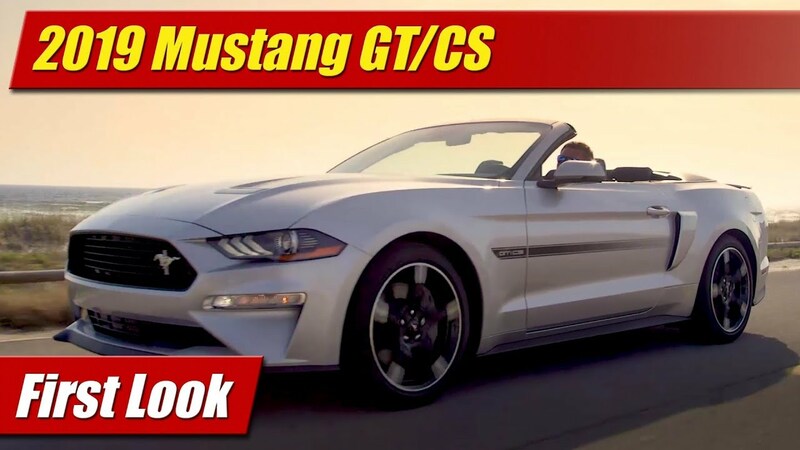 On Motoring Monday for August 3rd, 2015 we’ve got more gratuitous Shelby GT350R track footage with sound, the 2016 Lexus IS sedans and a new top of the line Ford F-150. And speaking of F-150, new crash tests show its aluminum body offers excellent safety in some models, but not in others. Ford is turning up the tease on the Shelby GT350R Mustang this week, stretching its legs at Grattan raceway in Michigan for high-speed ride-alongs. Ford says the new GT350R beats the Camaro Z/28’s time at the track and matches that of the Porsche GT3. Exact times weren’t quoted, so we’ll have to trust them for now. The event was the first public flogging of the car. Automotive journalists were taken along for high-speed ride-alongs on the race course with professional Ford drivers. Full on test drives will come later this fall. Whether we will be there or not is anyone’s guess. We haven’t yet seen an invitation to the big event. The 2015-2016 Shelby GT350R certainly has its share of interest both in the journalistic pool as well as the enthusiasts and customer base out there. With its 526 horsepower flat-plane crankshaft V8 blurting out sounds that make most stop, turn their head and listen at the track, it will surely do so out in the wilds when it comes. While pricing has not yet been announced, rumors are the Shelby GT350R will start at $63,495 or somewhere close, a significant uptick from the Shelby GT350. It is said to weigh in at 130 pounds less than the Mustang GT due in part to the carbon fiber wheels and other components as well as lacking a rear seat and audio system. You have voted the car the most newsworthy thing this year based on your viewing of our videos. We’ll keep bringing you the latest and that test drive review….whenever it comes. The 2016 Lexus IS sedans come to us with an updated powertrain strategy with now three available engines starting with a new entry level IS 200t. Follow me now, for 2016 it’s available in IS 200t, IS 300 AWD, and IS 350. The IS 200t is a rear-wheel drive only four-cylinder turbocharged model which now represents the starting point for the sedan line. With 241 horsepower, the new 2.0 liter turbocharged four will compete head to head with similar engines in the BMW 3-Series and Mercedes-Benz C-Class just to name a few. It will come only with an eight-speed automatic transmission. A new mid-level offering is the IS 300, which has a de-contented version of the IS 350’s 3.5 liter V6 engine producing 255 horsepower and comes only in an all-wheel drive configuration with a six-speed automatic. Topping the line will continue to be the IS 350 with its now venerable 306 horsepower dual-mode fuel injected V6. It comes with an eight-speed automatic or a six-speed automatic if you option it with all-wheel drive. That all-wheel drive system standard on IS 300 and optional on IS 350 can vary torque split from 30:70 front to rear up to a 50:50 power split. A new Premium Plus Package for 2016 brings a power tilt/telescopic steering wheel, and rain-sensing wipers and a heated steering wheel is also now available as a standalone option. As before the popular F SPORT is available for all three models including the new IS 200t. Body and interior design remain unchanged for 2016 however as the new models are set to arrive at your local Lexus dealerships early this fall. If you were wanting a new 2016 Ford F-150 but thinking it’s just not expensive enough, Ford has solved your quandary with the new top-line Limited model. The new Limited goes beyond Platinum, pushing the F-150 trim level envelope to a new high. Why another trim grade when King Ranch and Platinum already have so much? Ford would tell you it’s more about design and theme than just more stuff. The 2016 Ford F-150 Limited gets its own 22-inch polished aluminum wheels for starters. But look at the hood, which has huge LIMITED lettering all the way across. There’s also a special grille design and applique across the tailgate along with satin-chrome door handles. It will come fully loaded of course with all the stuff which is optional on lower trims. These include exterior duds like chrome tow hooks on 4×4, power running boards, and LED headlights. The interior is lit by a panoramic glass roof, and there’s functional features like blind-spot warning with cross-traffic alert, remote start, and integrated trailer brake controller. Special black and tan leather seats are heated and cooled up front with 10-way power adjustment. Rear seats are heated too. Techies or just those who want to tune the station on their radio easily will appreciate the roll-out of the new SYNC 3 communications and entertainment system. It has improved voice recognition, higher speed performance, and a better capacitive touch screen than the old MyFord Touch. Under the hood comes standard the 3.5-liter EcoBoost twin-turbo V6 with 365 horsepower and 420 pound-feet of torque. This gives a towing capacity of 10,100 pounds and a possible highway mpg of 24, not when towing of course. Available colors include Shadow Black, Magnetic, Blue Jeans and White Platinum Metallic tri-coat when it arrives early in 2016. Pricing will be a lot, and announced closer to launch. This week we spent some quality time with the new 2015 Mustang EcoBoost with Performance Package, the new fun driving alternative to the 5.0 V8 Mustang GT. The first Mustang with a turbocharged four-cylinder engine in decades, the new EcoBoost Mustang offers up 310 horsepower and all the high-performance flair you can option up on the Mustang GT. This included a performance suspension, brakes, Recaro seats and a premium interior trim that felt every bit in keeping as its price which came in at just under $40,000. Handling was sublimely good due to its all new chassis, upgraded suspension and summer tires. Fuel economy however was not far kin from what we’ve seen with the 5.0 liter V8 in past Mustang tests. You can watch our full test drive review by clicking the link below or on our website TestDriven.TV. This week the IIHS announced results of their crash testing for the 2015 Ford F-150 pickups, which had both good and bad news for its new all-aluminum body. The good news is that the new full size crew-cab achieved Good ratings in the IIHS crash tests including the brutal new small-overlap test. As you can see here, the passenger compartment held up remarkably well. In such, the Crew Cab earned a Top Safety Pick honor which bodes well for those concerned of the new pickup’s all-aluminum body structure, that it would not be as strong as the previous model’s steel body in a crash. When it came to the clam-shell door Super Cab model, the testing went an entirely different direction. In the small-overlap test the cab structure crumpled up severely which earned it only a Marginal rating on the test. The reason for the major differences the IIHS contends, is likely the fact that the Crew Cab version has additional frame bracing up front as shown here, which is missing on the Super Cab model. Whether this is the smoking gun or a combination of the more open area cab design of the Super Cab is not entirely known, though the IIHS reports that Ford says that they are considering changes to the Super Cab as a result of these test results. The standard cab at this point has not been tested, so it’s unknown whether its performance would be better or worse than one of the other two. At this point, bigger is better with the new F-150 when it comes to safety. Now it’s time for our Money Shot where we take the best photo from this week’s automotive news and we show it to ya! Audi will present its next step in automotive lighting technology at the IAA in Frankfurt. The new Matrix OLED lights enable a previously unattainable level of lighting homogeneity, opening up further creative opportunities for design. Click on the link right here and subscribe to our YouTube Channel where we’ll keep you updated on all we do. We test drive a new car every week and produce almost a new video every day, so there’s always something new. You can also follow us on the Google, Twitter and that Facebook by clicking on the links to the upper right.